App Metrics – What Should You Track? When people release an app, the biggest metric they track is downloads. The more downloads the better, obviously. And if it’s a paid app, then more downloads should equal more sales, meaning more profit for you. Are there any other metrics you should be tracking though, beyond downloads? Depending on the nature of your app, there should be. Here are some metrics you can study, to see which ones apply to your app. Just because your app receives a lot of downloads, doesn’t mean that your app has a lot of users. Some users may use your app once, and then delete it afterwards. 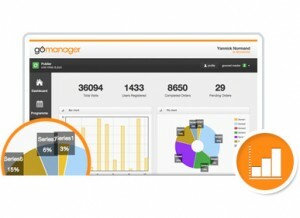 3rd party analytics such as Google and Bugsense let you track app usage. You can even monitor certain pages within your app to see how many views they are getting regularly, and also track which pages are not receiving the views you hope they would. Studies have shown that many users delete apps soon after they download them. Do your users delete your apps, or do they keep them on their device? One (pseudo) way to track such retention is by tracking how many updates are downloaded, each time an update is released. Compare this to your cumulative app downloads to measure the retention rate of your app. Just because users keep your app on their device, doesn’t mean that they actually use it regularly. There may be users who use your app regularly, but who don’t update their apps regularly. 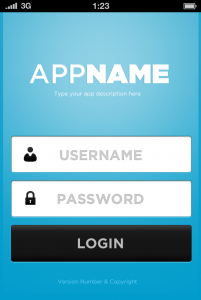 If your app requires users to create an account, you can track what percentage of users actually create an account. Ideally there should be some functionality for the user to browse through your app without logging in first. This way, you can track what percentage of users you are able to convert into registered users. If your users do have the ability to create accounts, then what percentage of them login more than once? How often do they login? In most social networks, it is a small percentage of the users that contribute the majority of the content (postings, comments etc.). Are you happy with the content being submitted? If not, is there any incentive you can provide users to submit more content? Are you able to track if your incentives are working or not? If your app offers in-app purchases, then it is up to you to determine whether your users are finding value in the purchase options you are giving them. If you offer multiple purchase options and one of them isn’t being purchased very often, then is it worth offering? While your app may function flawlessly on your own device, it may be causing problems on your user’s devices. Do you have a system in place to track crashes and fix bugs?